A timeless design, worthy of the finest establishments in the World! Exclusively designed in Monaco and hand crafted in Portugal to the highest standards. The flat sheets are also decorated with a double trim. Fabric weight: 150g/m2 Woven with single ply, long staple 100% Egyptian cotton yarn. 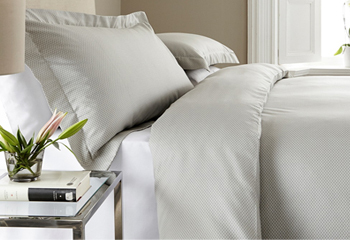 The Duvet covers are decorated with a double trim and with buttons to close.